Lake Providence. Louisiana. 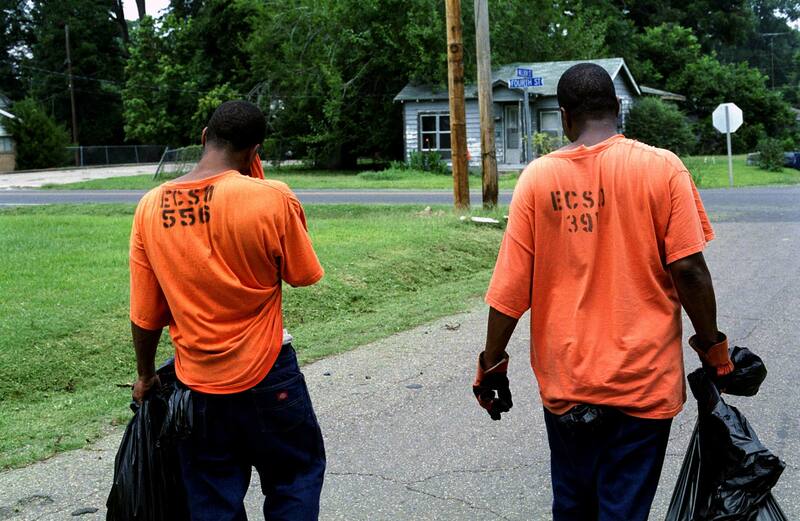 August 2008 Prisoners or Trustees of East Carroll Detention Centre, at work in Lake Providence; trimming grass and weeds and clearing drainage.